Lieutenant Randy Bridges had a good sense of humor, but took his job as a Peace Officer very seriously. 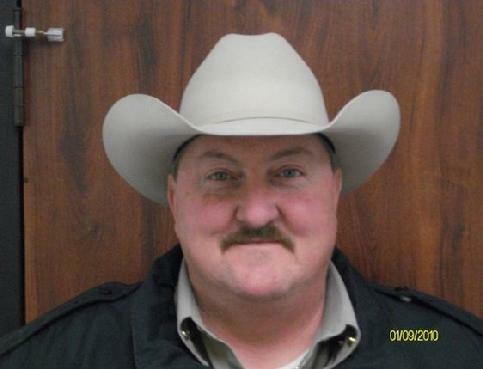 Details Released on Accident That Killed Former Polk County Deputy, CHEROKEE COUNTY, October 25, 2010 - The details of the accident that claimed the life of former Polk County Sheriff's Deputy Randy Bridges was released by the Texas Department of Public Safety today. At 9:55 pm on October 23, 2010, Randy Bridges, 52, of Corrigan, was south-bound of US-69 six miles south of Alto, Texas when he entered a curve and lost control of his vehicle. The vehicle, a 2008 Dodge truck, turned over. The road conditions were wet from rain. DPS Troopers Rusty Pitts and James Long were dispatched to the scene. Bridges was pronounced dead at the scene at 11:23 pm by Cherokee County Justice of the Peace Vera Foreman. Bridges' body was taken to Allen Funeral Home in Alto. Bridges was a retired Sheriff's Deputy in Polk County who had attained the rank of Lieutenant before his retirement. Funeral services for Randy will be held Wednesday, October 27, 2010, at 2:00 p.m. in the Carroway Funeral Home Chapel with Pat Jones, Tom Selman and Kent Henson officiating. Interment will follow in the Whitehouse Cemetery. Lieutenant Randy Bridges on the scene of an arrest on July 7, 2008 in Livingston.